Black tutu. Mine was a tutu skirt which I got off ebay, and there are plenty about. I coupled mine with a black vest, but if you can spare the expense you could get your hands on a full tutu dress (which is more accurate). You could also go to town on decorating your top with embellishments, as the dress in the film is adorned with feathers. Ballet shoes and tights. Mine are actual ballet dance shoes, as it was a house party. If I was going to be travelling about outside I would go for proper ballet style flats, or maybe even round toe heels for a fashion twist. In the film (and in the ballet Swan Lake) she wears white ballet tights and white ballet shoes, but as it’s Halloween AND October, I went for all black. Black tiara. Another ebay purchase – it’s a plastic evil fairy one. Black ballet cardigan. For warmth, not for photos. This was just a cardigan I already owned tied in front in a ballet style. Ballet hair. A neat bun, created using a doughnut ring. 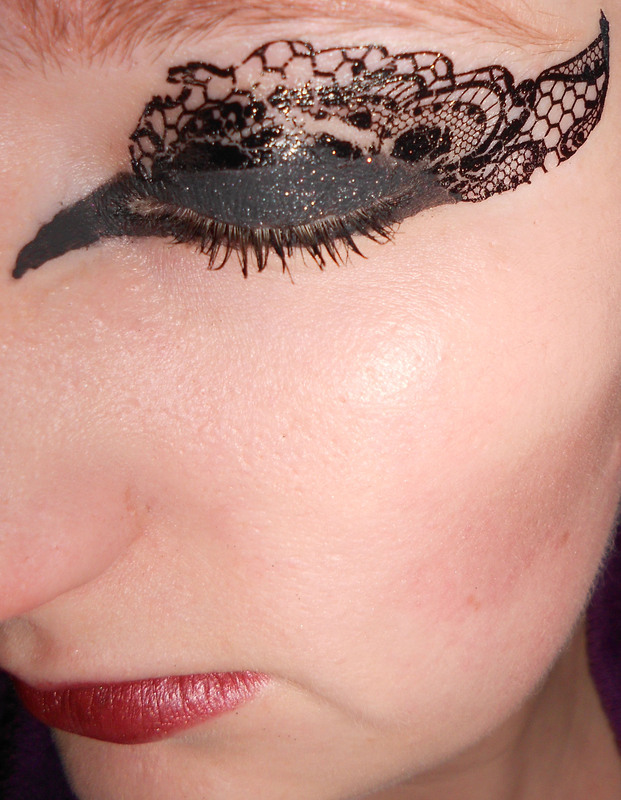 Black Swan makeup. Pale base with sallow cheeks created with a grey eyeshadow, dark lips, and Black Swan eye makeup. 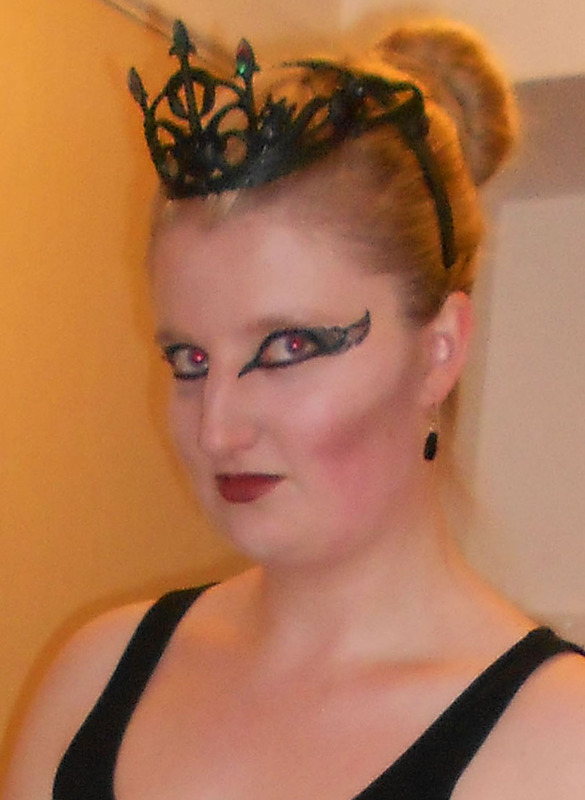 Rather than copy the film makeup exactly I used the Eye Rock eye transfers as the basis of my design, and black liquid eyeliner to create the rest of the shape. 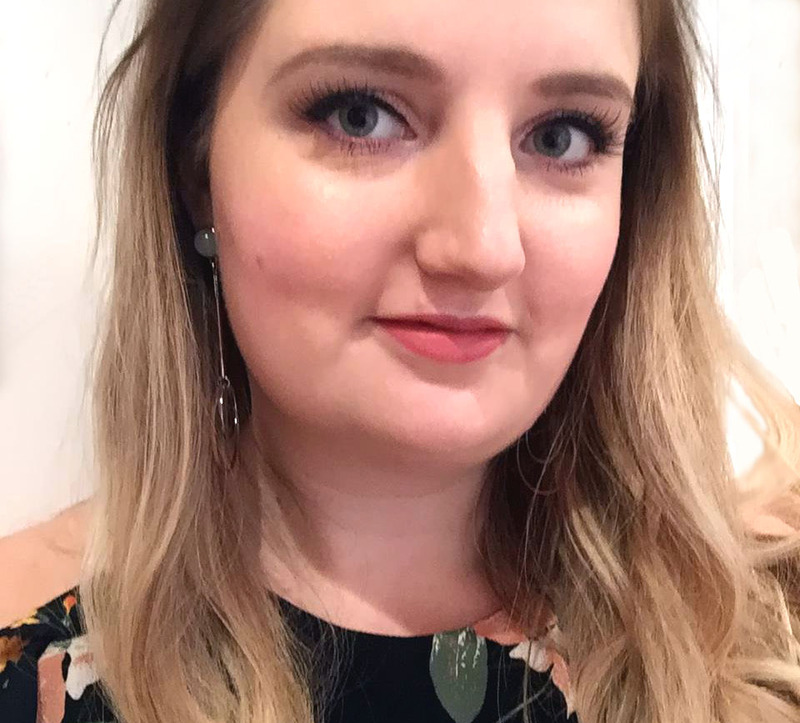 Next ›Benefit Cha Cha Tint: I’m converted! The Eye Rock is fabulous! Love your take on Black Swan…I styled up the same look with o2 and Blackberry for their #lookscary campaign, what do you think?